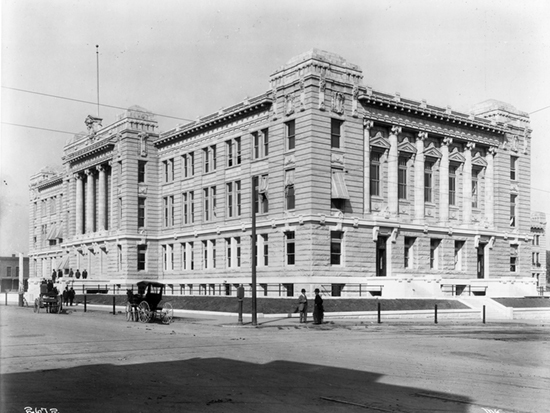 Sacramento's first courthouse, built in 1851, became the Capitol in 1854 and was destroyed in a fire that same year. After the county outgrew its second courthouse, this three-story granite-and-marble county center was "built to last forever" but was abandoned in 1965 for a more modern facility and demolished in 1970. A new county jail was constructed on the site in 1989.